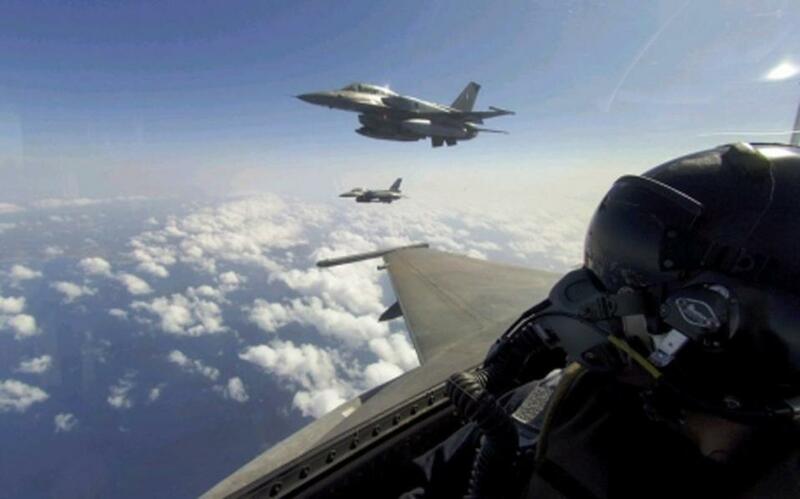 Greek and Turkish F-16s engaged in three mock dogfights east of the island of Rhodes in the southeastern Aegean yesterday. The dogfights occurred within the space of 10 minutes from 2.50 to 3 p.m. In total, 10 Turkish F-16 jets – four of them armed – and two CN-235 transport aircraft entered Greek national airspace 30 times. According to reports most of the dogfights in recent weeks have occurred in the area east of Rhodes. Meanwhile, a Turkish navigational telex (Navtex) has reserved the sea area between the islands of Chios in the eastern Aegean and Ikaria to conduct an exercise with live ammunition at noon Wednesday. Tensions also remain high in Cyprus with Tahsin Ertugruloglu – the so-called foreign minister of the Turkish occupied north of the island – warning on Tuesday that if the entity does not gain international recognition then it should be linked to Turkey along the lines of the UK and Gibraltar, and France and the Principality of Monaco. Talks to reunify the island, which has been divided since Turkey invaded and occupied the northern part in 1974, collapsed in acrimony last July.